Oracle has just included Kubernetes support for its VirtualBox Vagrant GitHub repository. With that it’s now easier than ever to get a Kubernetes cluster up and running inside VMs. If you have not come across Vagrant yet, it’s a great tool by HashiCorp for “Development Environments Made Easy“. Installing VirtualBox and Vagrant on your machine, regardless whether it’s a Mac, Windows or Linux, is very straight forward. In my case on Mac it’s just an easy download and a couple of clicks, so I’m not going to cover it here. The provisioning script will pull several Kubernetes Docker images from the Oracle Container Registry, a fully free Docker image repository from Oracle. 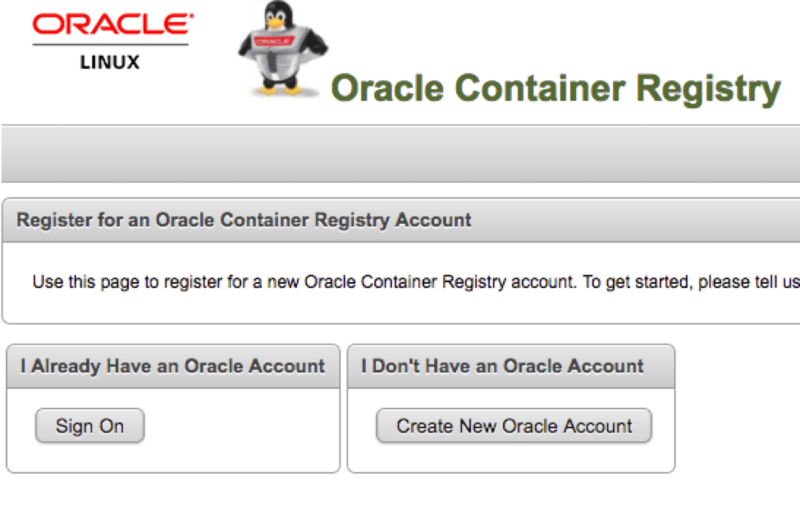 In order for it to do so, you have to have an Oracle account to sign in with on the container registry and accept the license agreement. This is a quick one-time task to perform as the container registry will remember your license acceptance on subsequent pulls. So, if you have done this already before you can just skip ahead to Creating the Kubernetes cluster on VirtualBox. Once you have created the account and are signed in, it’s time to accept the license agreement. And that’s it, now you are ready to build your Kubernetes cluster. Once again, remember that the license acceptance was just a one-time step. You will not have to agree to it anymore going forward, regardless how often you build or rebuild a Kubernetes cluster. In this example we are going to create a one master, two worker node cluster. remote: Counting objects: 342, done. Receiving objects: 100% (342/342), 69.52 KiB | 4.63 MiB/s, done. Resolving deltas: 100% (170/170), done. ==> master: Successfully added box 'ol7-latest' (v0) for 'virtualbox'! master: this with a newly generated keypair for better security. ==> master: Machine booted and ready! master: your host and reload your VM. master: Your Kubernetes VM is ready to use! ==> worker1: Fixed port collision for 22 => 2222. Now on port 2200.
worker1: Your Kubernetes VM is ready to use! [discovery] Trying to connect to API Server "192.168.99.100:6443"
[discovery] Created cluster-info discovery client, requesting info from "https://192.168.99.100:6443"
[discovery] Cluster info signature and contents are valid and TLS certificate validates against pinned roots, will use API Server "192.168.99.100:6443"
[discovery] Successfully established connection with API Server "192.168.99.100:6443"
==> worker2: Fixed port collision for 22 => 2222. Now on port 2201.
worker2: Your Kubernetes VM is ready to use! NB_WORKERS (default: 2): the number of worker nodes to provision. USE_PREVIEW (default: true): when true, Vagrant provisioning script will use the Oracle Linux 7 Preview and Add-ons channels for both Docker Engine and Kubernetes (latest version is select by yum). Otherwhise it will only use the Add-ons channel. MANAGE_FROM_HOST (default: false): when true, Vagrant will bind port 6443 from the master node to the host. This allows you to manage the cluster from the host itself using the generated admin.conf file (assuming kubectl is installed on the host). BIND_PROXY (default: true): when true, Vagrant will bind the Kubernetes Proxy port from the master node to the host. Useful to access the Dashboard or any other application from outside the cluster. It is an easier alternative to ssh tunnel. MEMORY (default: 2048): all VMs are provisioned with 2GB memory. This can be slightly reduced if memory is a concern. You can find those within your Vagrantfile and amend them to your needs. 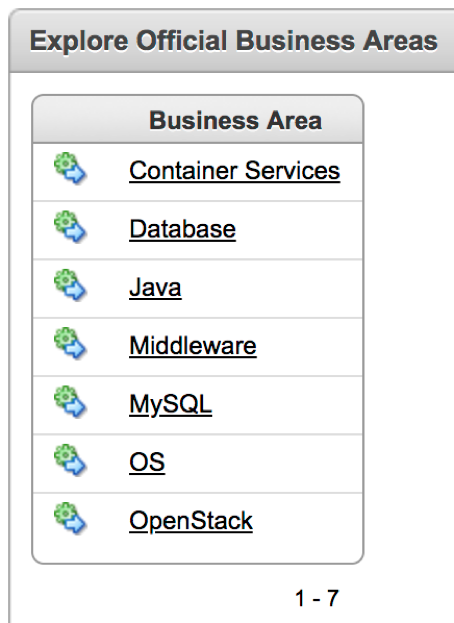 Also check out the Oracle Container Services for use with Kubernetes User’s Guide for more information. PING 10.244.1.2 (10.244.1.2) 56(84) bytes of data. Did you encounter this issue? Just an FYI, i’m running through this in June 2018 and some stuff has changed. For instance, I had to edit my config because basic unix commands weren’t being recognized due to “bad interpreter”. A quick glance at https://stackoverflow.com/questions/2920416/configure-bin-shm-bad-interpreter and I could continue the rest of this doc fine. Anyone else run into this? The files do change indeed on a regular basis to provide more and/or new functionality. Best is to open a GitHub issue in the repository so that the maintainer(s) and community can help you further. I will confirm it happens in multiple env’s and do so! Also, is this installation pre-configured to token auth w/ Dashboard? Ive been using the tokens for “kubernetes-dashboard” service acccount and it always tells me its wrong. I know i’m missing something somewhere. Any help is appreciated! Again, best is to open a GitHub issue and as the question over there so that the maintainers and community can help you further! First of all thank you so much for fantastic post. After lots of sweat and tears, I managed to configure the cluster with one master and one worker. I dont know why the second worker wouldnt work. When I tried vagrant up worker2, I got the following error. the configured (“config.vm.boot_timeout” value) time period. problem that networking isn’t setup properly in these boxes. The last 3 paragraphs were in red font. So I tried again and this time aparently it worked, but then when I try vagrant ssh worker2 it logs into vagrant@localhost and from there I can not manage to connect to run the last script in worker2. So do you have any idea what could be wrong? Other than that the cluster of 1 master and worker1 seems to be fine. And last but not least, I am running the whole thing within a VM where I create the cluster. So memory is a concern and i was wondering if I can leave the master with 2GB and the workers with 1Gb each and how will you do that. Do you need to vagrant each of the nodes? and do you know how could i modify the vagrant file so that it assigns different ammount of memory in different cases. Thanks in advance and congratulations for phenomenal tutorial. Specifically the “Timed out while waiting for the machine to boot.” which means that your VM, for whatever reason, didn’t boot. You will have to find out why it couldn’t come up, try looking at the logs of VirtualBox. However, note that I never tried it with just 1GB. Also feel free to post your findings as a GitHub issue on the repository where the author of these scripts can provide further help. But first, you need to find out why the VM didn’t boot? Was it perhaps because there isn’t enough memory available? Thank you for the great job. I’ve a couple of questions. 1) I’m trying to figure out how to access a service deployed on WLS running inside the k8s cluster. 2) After the initial provisioning on the VMs, it’s possible to add more workers? Run “vagrant up workerN; vagrant ssh workerN;” depending on how many workers you want. Unfortunately I do not have the answer regarding WLS inside the Kubernetes cluster. Best would be to ask question at https://github.com/oracle/vagrant-boxes/issues where the community can help you further. This idea is great. But I failed in deploy it. I have this type of error on the master. Please log a ticket on GitHub (https://github.com/oracle/vagrant-boxes/issues) with the output of the scripts. Please make sure you have internet connectivity. Did Oracle stop supporting Kubernetes upgrades to this VBox cluster solution? Can’t upgrade to kubeadm 1.10 or higher from the 1.9.11 Oracle version, any thoughts on how to upgrade even if unsupported? Thanks for the reply, Gerald, much apprieciated.